With origins in Jam Band Culture from the 1960s, the hybrid form of Jamtronica has become increasingly popular the past half decade. 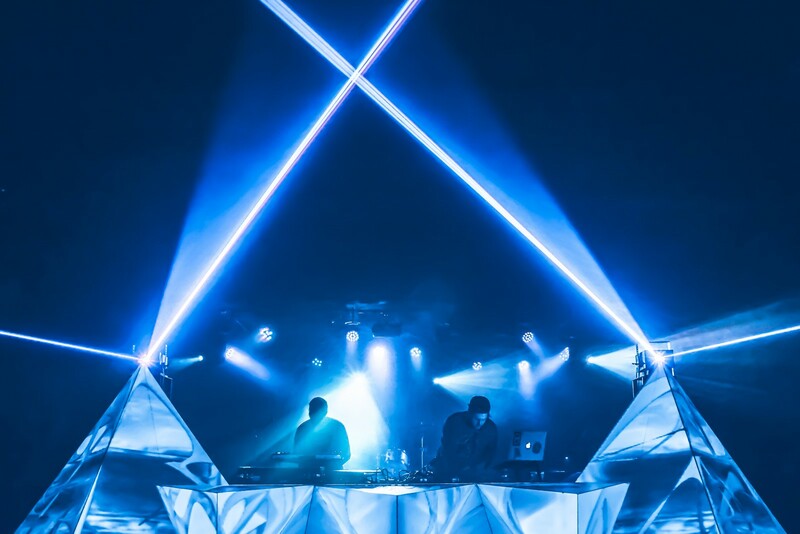 The movement grows stronger thanks to prominent players like The Floozies to electronic jam elements Sunsquabi and The Russ Liquid Test – all of which are feeding and building this movement simultaneously. 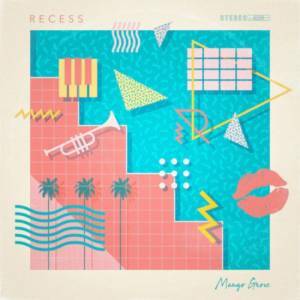 One electronic jam band very much involved here is Recess. Releasing The Brothel Gospel in 2016, the duo answer with their best form to date in Electric Playground. The EP displays a collage of atomic riffing, soulful chords, and all sorts of funky rhythms stirring together the best of the past and present. 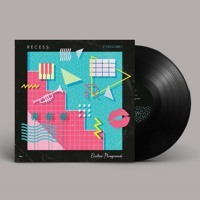 In addition to this release, Recess stands at a defining moment in their careers relocating to the hotbed for live music Denver, Colorado with upcoming tour dates this fall alongside all the above mentioned groups. 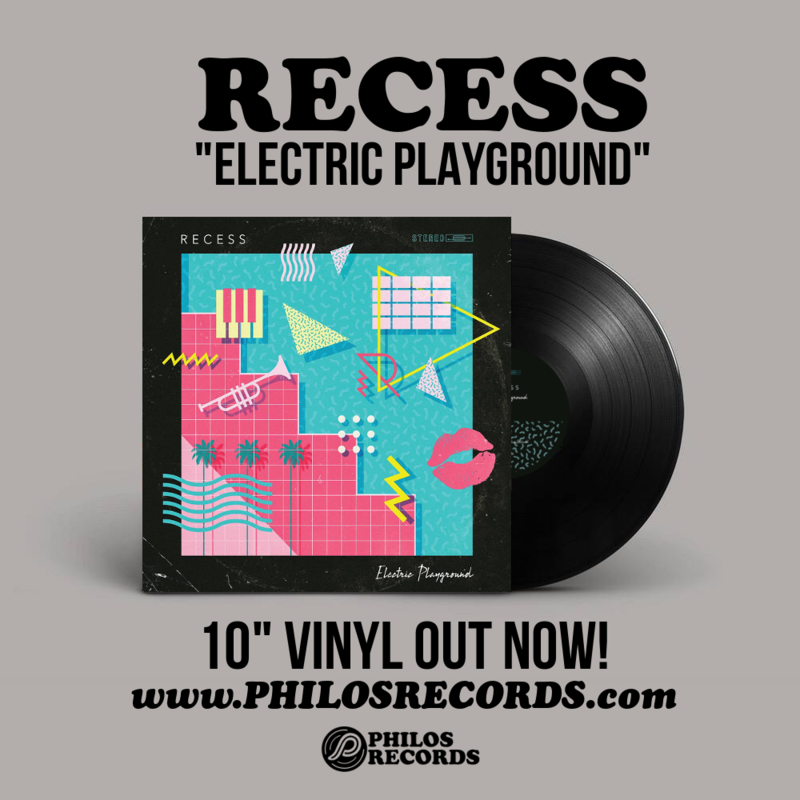 To keep things classic, Recess have released a limited vinyl edition of Electric Playground compliments of Philos Records. Give the stream a listen while you read their exclusive interview with Stereofox on the band, the making of the album, and more funky topics. Hey what’s up, guys! Congratulations on this vinyl release. First, how’s your summer been? Hey! Thanks! Summer has been busy. It was mainly spent working on new live music and working on relocating to Denver, so overall it has been pretty productive. Congratulations on this release! An interesting album title indeed and some of the track titles have me curious. Tell us more about some of the stories behind this one and what it means to you. Some of the song names came after the song came together, like “Mango Grove.” It just had this tropical vibe to it.. “Voyager” and “Another World” had more spacey themes and some of the other names happened at their original conception. “Slurp” has that really slurpy bass line and “Drop Out” has this sort of “cool kid” mischievous aesthetic to it, so they all had some thorough dedication to their track names. I know you guys have been around for a bit, but I am curious: how did that name and band come to be? Well, once again, it played off of an original song name back in 2013 called “RECESS” that was an organ and guitar sort of trading licks in a playful fashion. We both produced separately and decided to meet up and start some type of project... the name RECESS just stuck from the way the instruments spoke to each other and it was mainly centered around funk, which are generally high energy and fun compositions. You guys have a number of exciting shows coming up. Some with The Floozies, The Russ Liquid Test, and even with some of the Philos Records crew. For those of us who haven’t yet been to a Recess show, what’s the live experience like? We generally play a fully original set. To switch it up we may throw in a couple of remixes, but for the most part, it is all original. We try and span pretty much every genre and every time period of modern music at least. There are a lot of our original instrumental pieces but also we try to mash up some 70’s funk with 90’s r&b and remix some classics, or even throw in some old school jazz fusion tracks mixed with 90’s hip hop. We are just testing the waters and smashing different genres together with a newer edge. Our shows are really fun to put together. Some of these producers you’re going on tour with… how did you get to know them? What’s it like when you guys are on tour in general? Most of them we have just met along the way and really got along with. Everyone you mentioned is a lot like us and we all have similar musical goals. We are pretty heavy into both sample based hip hop production as well as instrumental funk, so we have hit a wide variety of friendships and commonalities along the way. Being on tour is a lot of fun. Some stress, lots of traveling and living out of your car and hotels, rushing to soundchecks and dealing with some random issues along the way, but overall it’s generally the most fun part of the whole project. Being in new cities constantly and meeting a lot of like minded people make it all worth it. You guys pack a satisfying mix of live instrumentals and electronic elements. Tell us a bit about how you produce a song? What instruments are you using? What hardware and software’s at your disposal? Normally we will just start with the drums to set the vibe. We will make some quick drums, whether they be straight up hip hop, some up tempo house vibes, or any style really. We will jam over them for a bit and then lay some things down and then melody lines get jotted down and then they simmer for a couple months and pop out a song somehow. As far as the studio, we’re using Ableton Live with various drum samples, chopping records for drums, using different synths and keyboards, (Moogs, Nords, Korgs), VSTs, different effects, an MPC 2000xl, and some different basses and guitars. The studio set up is pretty nice, even though it’s just a home studio. We have a lot of instruments and products at our disposal to experiment with. This one includes some very interesting collaborations with other producers and musicians.. Tell us more about those and how they happened and how it went. The Late Night Radio and Flamingosis collab came from just hanging out in the studio together. We all just started a track together and over the course of time it turned into what it is now. We recorded some live horns (shouts Will Davis) and sort of experimented with the drums and groove we all made initially. “Slurp” is with our good friend Marcus Oaks from our hometown. Our other good buddy Grant Thomas is in the middle of construction of a world class studio called SŌL Studios in Fort Smith, Arkansas. We had the beat made and just decided to get in his studio one night and hammer it out and it came together in a couple hours. Marcus and Grant made it easy, lots of good vibes going on in that studio. The other collaborations pretty much came from just shooting these guys the track and seeing if they were interested in working with us and luckily they were into it. It was a pleasure to work with such great players. What types of things or people are influential to your creativity? Probably most inspiration comes solely from music and life experiences. We’ve both been diving into a lot of soul, funk, new hip hop, old hip hop, experimental crossovers, and even just going out and seeing a lot of new music. We both share a lot of passion for those live experiences that just change your life. Going home and getting in the studio after a fresh experience is always a really good motivator. Outside of music, what’s got you guys excited about living? Moving out to Denver has been a game changer. Just being surrounded by great music, nature, art and a more thriving atmosphere has been really exciting. Both of us are really in tune with all sorts of other types of art, whether it be cinematography or really cool animation that people are putting out...but also the classics; hanging with good people and good food are high on the list. Dogs. All the good stuff. We’re in a good spot due to the culmination of multiple people and factors. Having great family support has been a major key, the link with Philos has been phenomenal in all aspects, all of our friends we have met along the way that have inspired and pushed us and the people that come to the shows that reciprocate that energy back into you that you put into your project is what keeps it all going. We just want to play music, inspire, be inspired, do well, do bad, just experience everything and in turn, put it back into the music. Grab your vinyl copy of Electric Playground via Philos Records now!